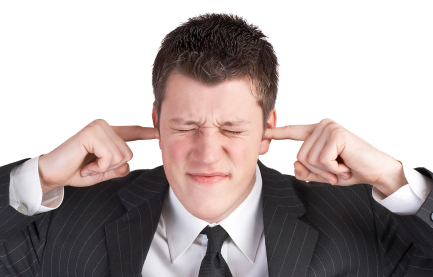 For many people, ringing ears or tinnitus is a constant problem and annoyance. Tinnitus is different than an actual audible tone. It rings from within the ear itself. The difference between tinnitus and for example, the mosquito ringtone, is hard to explain in words. When experiencing tinnitus, it almost sounds and feels like it’s coming from inside your head itself. There are varying degress of severity that can only be measured in words. Since only the person experiencing tinnitus can “hear” the ringing, no external tool or test can measure or detect it. Ear doctors will ask the patient to rate it on a scale from slight to catastrophic. Tinnitus usually goes hand in hand with hearing loss, at least to some degree and is actually a symptom of any number of disorders rather than a condition itself. Hearing the mosquito ringtone is not the same thing as having ringing ears! Ringing ears and tinnitus are the same thing, but tinnitus is usually used in more severe cases. In addition to dozens of medical disorders it can also be caused by a few common and easily remedied conditions. Check out ringing ears treatment for common ways to remedy the problem. If you are experiencing ringing ears it may not be a permanent annoyance, but one that can be cured by following the advice of an expert. Rather than treating tinnitus itself, tinnitus treatments work by treating the underlying disorder that is causing your tinnitus to occur. I think that we are definitely going to see an increase in these types of medical issues. I mean just about everyone uses a cell phone now a days and they have to be the worst. I think this was a common issue for the war folks back in the 40′s but its in full swing again for sure. This was a great reminder that we should take more care of our hearing.